Karen, Tom and Helen from the tobook team have visited another great venue – The Abbey Hotel, a privately owned 4-star hotel set on a beautiful 175-acre estate on the edge of Redditch town in Worcestershire. We met with the charming duo Phillip Allsopp and Liz Gibbon who took us around and made us very welcome. The Abbey prides itself on offering guests a warm welcome and that’s exactly what we got. 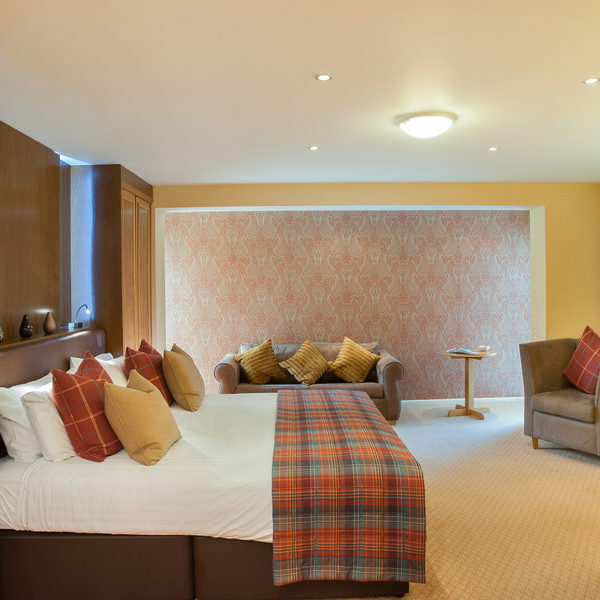 There are 11 Executive rooms, 2 of which have private balconies with overlooking views of the golf course. A perfect place to relax in the summer with a cold drink. 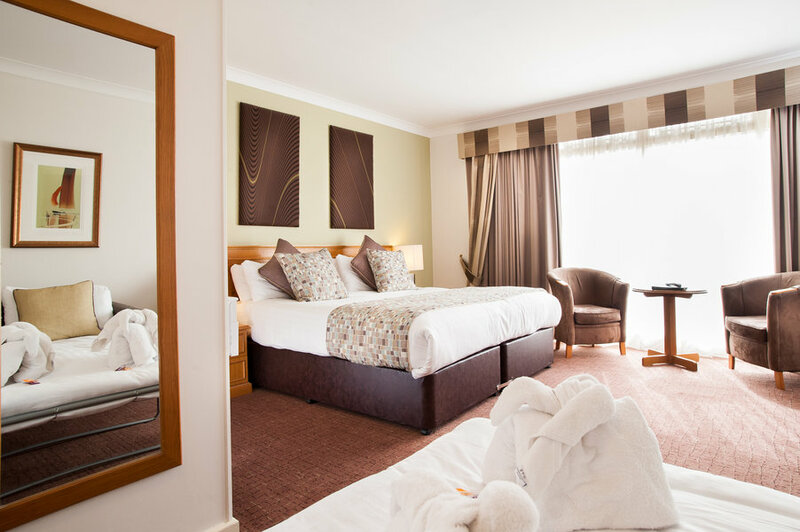 The executive suites are so good they are often booked out by celebrities performing at the nearby Birmingham arenas. They recently had James Arthur and Olly Murs to stay. The Abbey staff commented on how lovely Olly Murs is, interacting with fans at the breakfast buffet all morning. Sadly, he wasn’t there for us. There are 99 Classic style rooms. 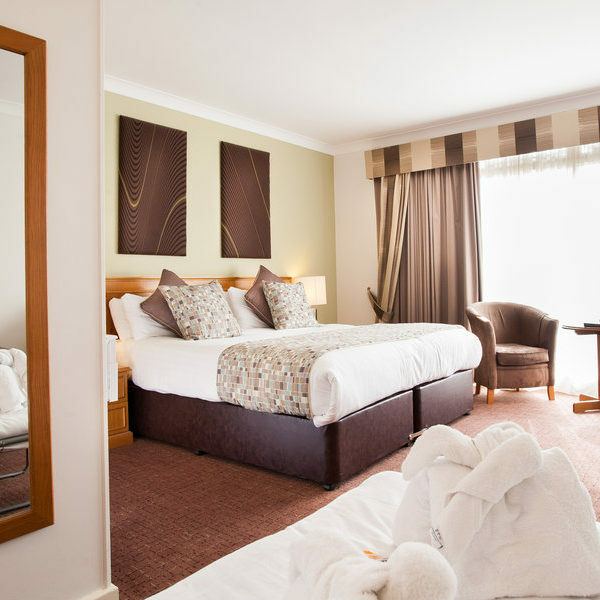 All are ensuite and boast luxury touches including comfy beds, cosy duvets and crisp bed linen. 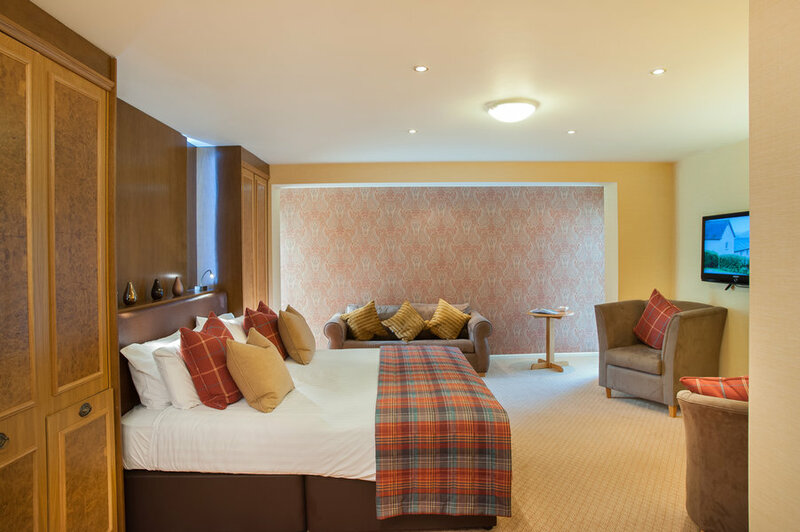 For those wanting something in between Classic and Executive, you can upgrade to a Superior Room that offers guests additional space and super king-sized beds – 26 are available. The first thing to check off the list is parking – The Abbey Hotel has a huge car park that delegates can use for free. Every guest has access to the range of spa facilities which is a nice touch. The heated indoor 14m pool provides an ideal place to plunge into a spot of relaxation. Follow that up with a sauna, steam room or treatment in the spa and you’ll forget all about your worries. If you prefer to be more active, you can take advantage of the fully equipped, air-conditioned gym, which is soon to improve thanks to a renovation at the start of 2018. 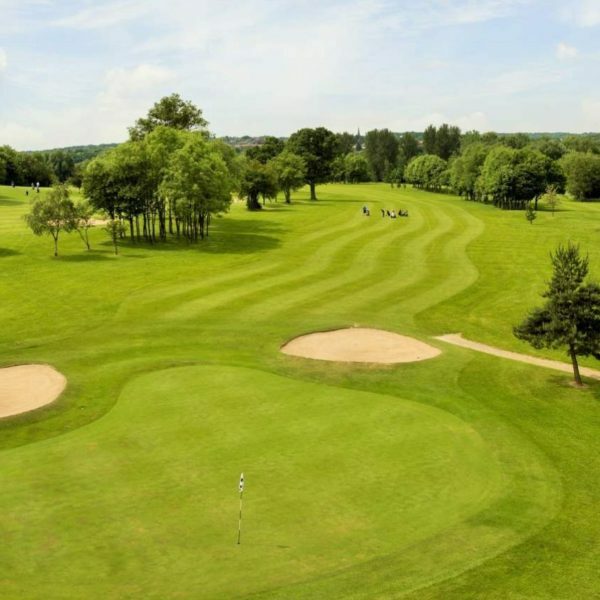 The other option is to play a round of golf on the championship standard par 72, 18 hole parkland course. 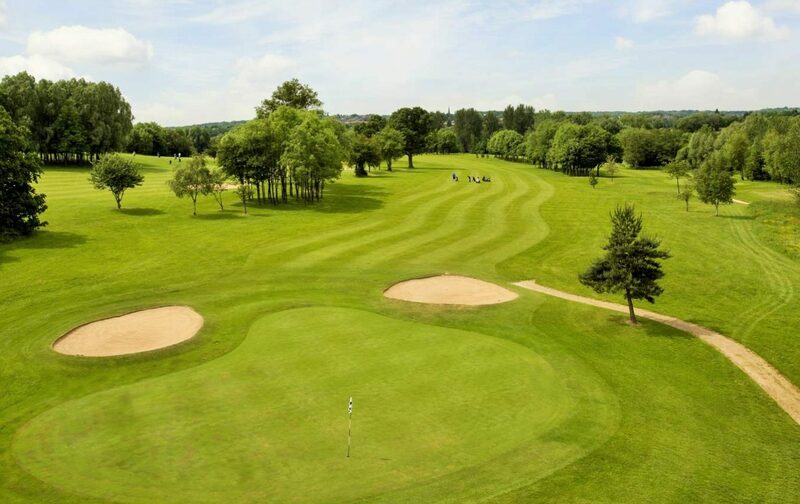 Built in the late 1970’s the course boasts matured trees, picturesque lakes and the fairways are wide with the rough not too punishing. The golfers can spend the afternoon on the back 9, while the others can refresh in the Spa and pool. The classic combo. The bar is perfectly located to overlook the 18th hole of the golf course. That means you might have a crowd watching your final strokes – pressures on! When the weather is not permitting a round on the course The Abbey has a floodlit driving range, the perfect place to practice, meet up with friends and refine your swing. That’s the leisure side, next we were taken around the extensive conference side. With it being a separate, self-contained area of the hotel it’s very quiet, allowing for lots of work to get done without any distractions. There are 11 function rooms, some of which can be combined to create a variety of spaces. The flexibility is a nice perk. As you’d expect, all come with fast WIFI and AV options. The main function area can be taken over completely as it has a separate entrance and registration space. Delegates can enter directly instead of via the hotel. That means you have the freedom to fully brand the space, making it feel and look professional. 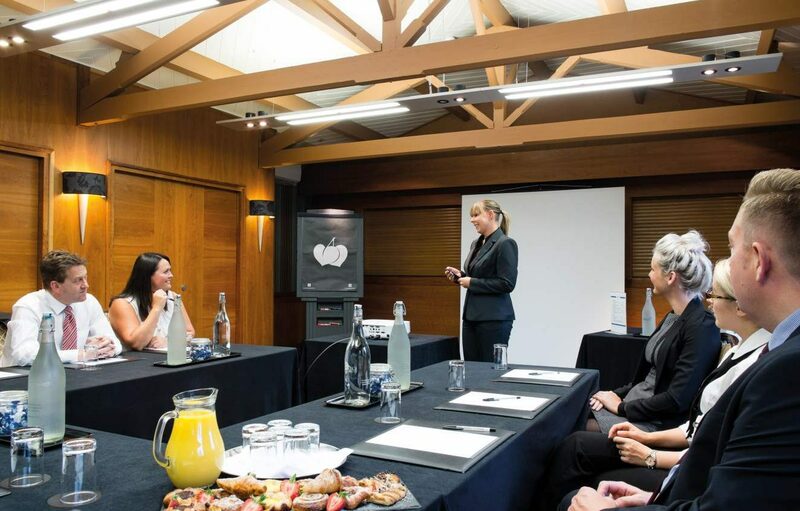 We think the meeting rooms suit sales meetings and training (for about 40), day meetings or 2-3 night residential events. And obviously, with the championship golf course, it’s perfect for corporate golf days. Our last stop was the restaurant where we enjoyed a delicious 3-course meal and true 4-star service. For breakfast and lunch, you can pick from a fresh buffet while the dinner menu offers a superb selection of dishes. You can check out the menu here. What catches your eye? Overall the food was lovely (the apple cheesecake is perhaps the best we’ve ever tasted) and the service was second to none. For large parties, you can partition areas of the restaurant so that you have the privacy to continue the function without interruptions. For example, if you wanted to do your own awards or speeches. With a major revamp at the request of the new owners, the public areas will be fresh and modern. 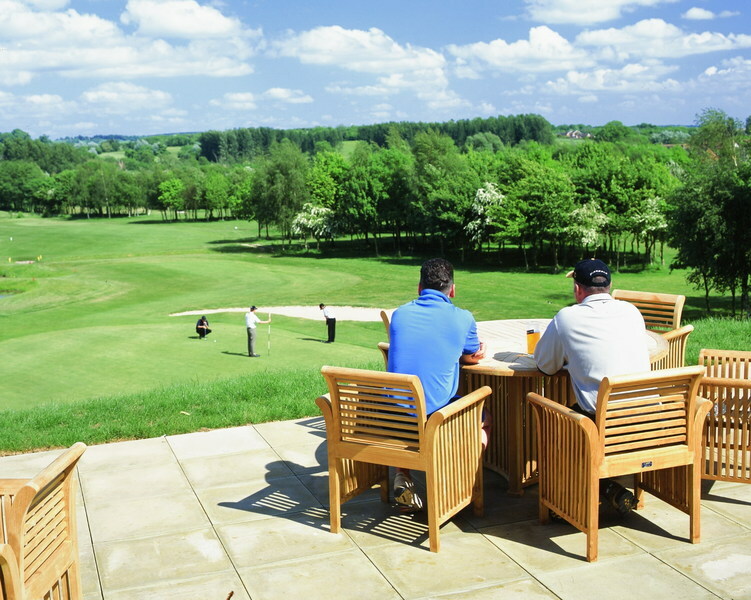 The facilities (golf course, health centre, bar, function rooms, bedrooms) combine to provide an ideal location for small-medium sized events that we think provides exceptional value for money.